A group for sharing stories about the moment you first realized you could adopt. 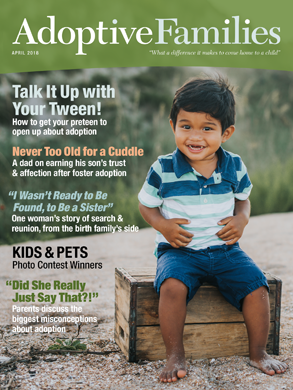 Opinions on "Adoption Makes Family"? Experience with Adoption Makes Family (MD)? Experience with Love Baksket in Missouri? I would like to know if anybody has information on Love Basket in Hillsboro,Missour for Embryo Adoption Home Studies. Has anyone used Little Miracles adoption agency out of Texas? We are considering this agency, but would like some additional references from other parents. Thanks! novemberrain103 started the discussion Is this normal?